After the riots of March 2013 in Central African Republic (CAR), that brought to power the military, the country descended into ethnic and religious conflicts between Muslim and Christian communities, which boosted an institutional crisis, worsening the already critical state of malaise. 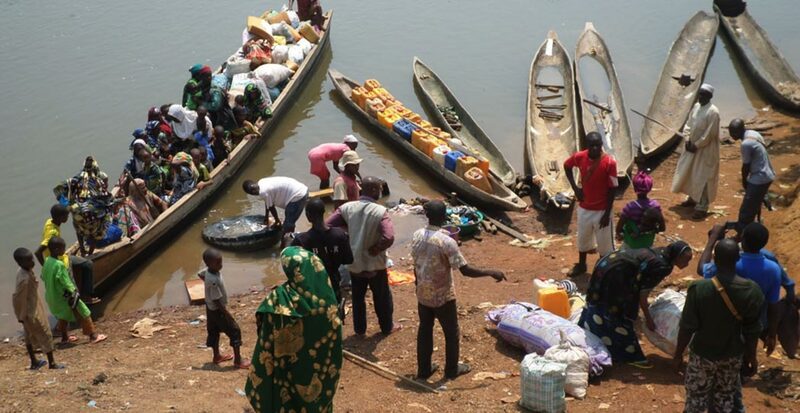 The unrest, besides the high risk of genocide, has displaced tens of thousands of Central Africans; many of them have crossed the border countries. The SEFAC group, having two manufacturing sites in the villages of LIBONGO and BELA, both located on the Sangha river, besides hosting local workers and their families, have become over the years true rural communities and a multi-ethnic frontier for the Central African Republic. Health cares through vaccinations and specific prophylaxis for the refugees entering at the sites of Libongo and Bela. Copyright 2019 by Vasto Legno S.p.A. - All rights reserved. Reproduction in whole or in part without permission is prohibited.